You may be considering renting a garage for a whole range of reasons. Perhaps you need to keep your car somewhere safe and secure or you need storage space during home renovations. Whatever your reason, renting a garage can be an excellent, cost-effective solution. However, it is important that you choose your garage wisely to make sure you get the best one for your needs and can take full advantage of all the benefits of renting a garage. So, what elements should you consider when you are looking for a garage to rent? The first thing to clarify is the reason why you are looking for a garage in the first place. The application you intend to use it for will help to inform which one you opt for. 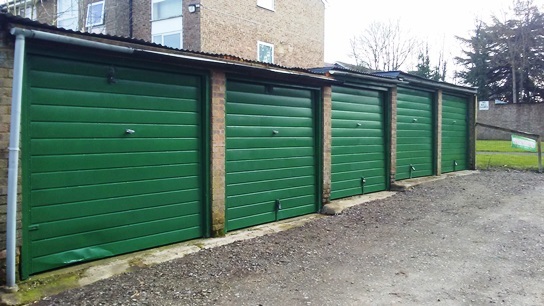 Are you looking for a storage space, a workshop or somewhere to keep your car? The purpose will help you to decide what size you need, the security you want and the ideal location. Size is very important when it comes to garages. When considering different garages, you will want to make sure that you choose one that is the appropriate size for your requirements. Of course, you’ll want a garage that is big enough for what you will be using it for, but you should also consider avoiding renting a space that is considerably bigger than your requirements as you could end up spending more than you need to. When you’re renting a garage, it’s important to be aware of the location. This is crucial for a few reasons. Firstly, you will need to consider how close you need the garage to be to your home. If you are hoping to keep your car there, you’ll want it to be close enough to your home so that you can access it easily, whereas, if you’re just using it for storage, you may not need it to be quite as close to home. Secondly, you may want to consider the local area, especially if you’re going to be storing valuables in your garage space. Of course, you will be concerned about the cost of renting a garage, particularly if you are thinking of renting a space for an extended period of time. The cost will often be determined by a number of factors such as the location and size, so you will have to find a balance between all of the things you need to make sure you find the perfect garage for your requirements. At Lockup Garages, we have hundreds of vacant garages at different prices across the country so you can easily find one that is perfect for your needs. You can search our properties to find a garage near you and make sure to get in touch with a member of our team if you would like to find out more about our services.